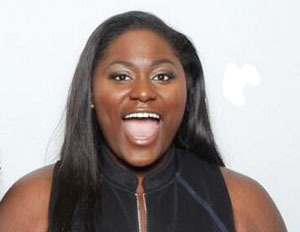 As many are anticipating the upcoming new season of Orange is The New Black, Danielle Brooks fans will be elated to know that the star has landed a new role in Broadway’s The Color Purple. According to Variety, Brooks will play the role of Sofia, which was portrayed by Oprah Winfrey in the film. Winfrey will serve as the producer this time around, as she did in 2005 when the production first hit Broadway. Brooks, who is known for her role as Tastee on OITNB, will make her Broadway debut alongside Jennifer Hudson, who was cast as Shug Avery, and British actress, Cynthia Erivo, who was cast as Celie. Brooks, who’s been making major strides as an actress since starring on OITNB, is soon to be featured in the upcoming animated Angry Birds movie. And though she doesn’t have much professional musical experience, she tells Variety she’s been singing all her life. “I grew up singing in church as a little girl,” she revealed. The actress expects to film the fourth season of Orange is the New Black while appearing in The Color Purple, which starts performances in November. For more information about Brooks’ appearance in The Color Purple, visit Variety.